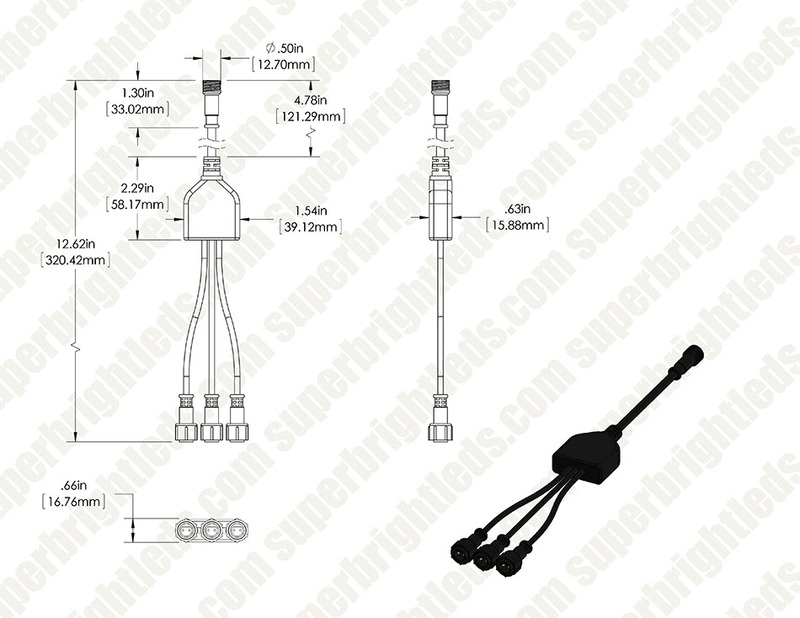 LED Rock Light 1 to 3 Splitter: Shown With Rock Light (Sold Separately). 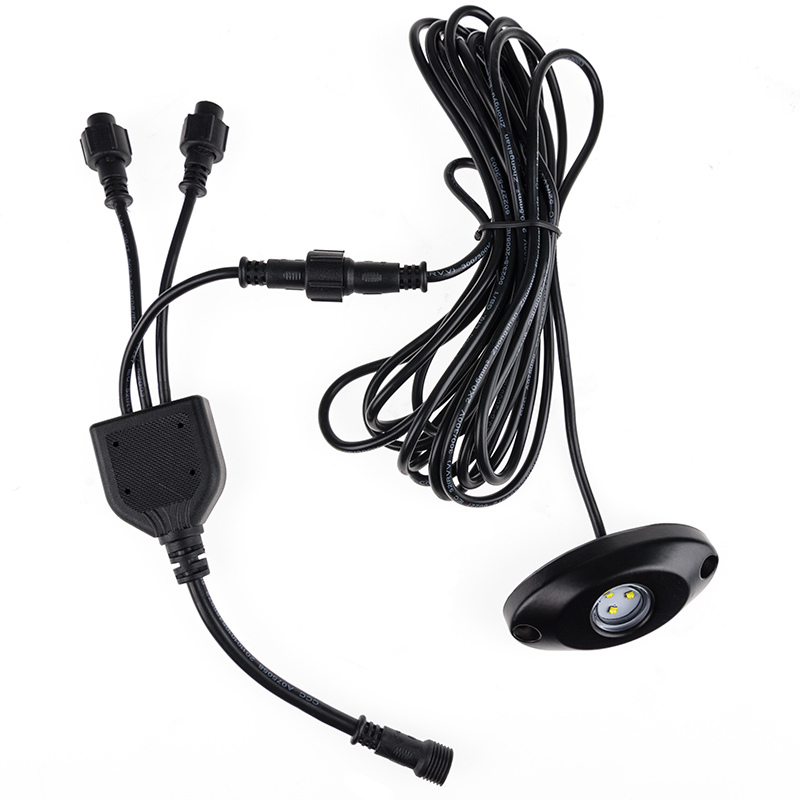 This LED rock light splitter lets you add 3 rock lights to 1 plug-and-play connector on your existing rock light hub. 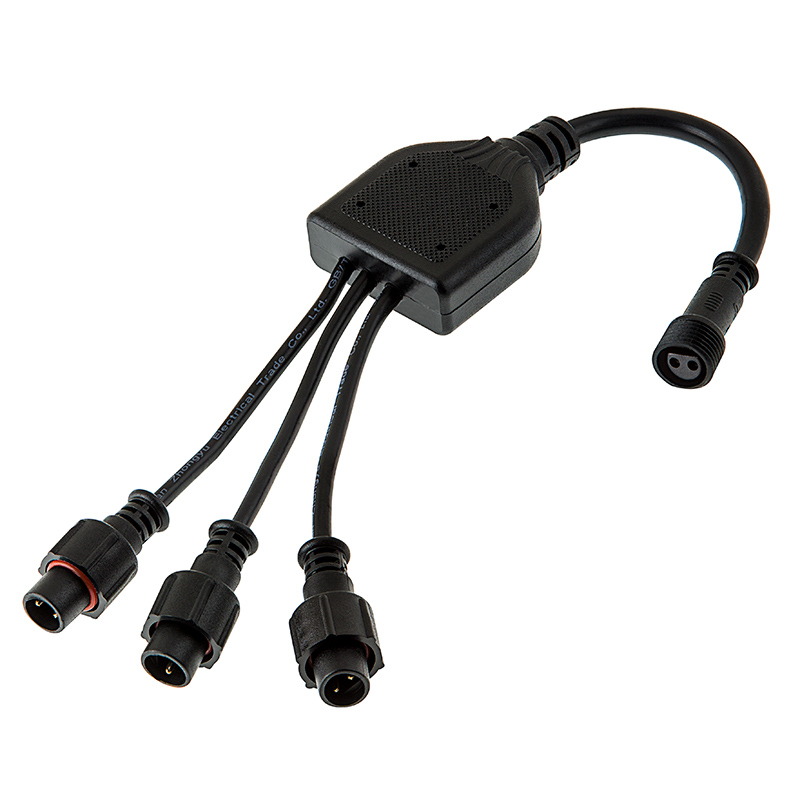 Note: only 1 splitter can be added per rock light 6-connector hub.